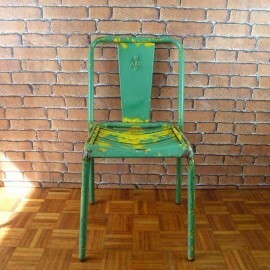 This is an original Tolix's chair Model T4 designed by Xavier Pauchard. Green / Yellow color. It has a wonderful patina. It would be gorgeous in any kitchen or dining room. Mix it with other colors, have a look at our stock! Or why not adding colors in your bathroom! 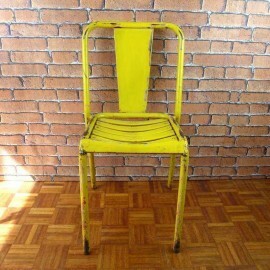 To view our full range visit our Industrial Furniture Category. 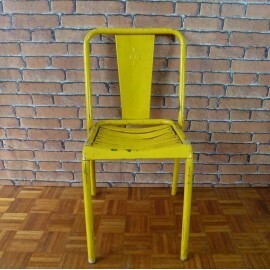 This is an original Tolix's chair Model T4 designed by Xavier Pauchard. Yellow color. It has a wonderful patina. It would be gorgeous in any kitchen or dining room. Mix it with other colors, have a look at our stock! Or why not adding colors in your bathroom! To view our full range visit our Industrial Furniture Category. 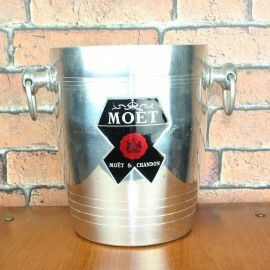 Lovely French Vintage Ice Bucket Moet & Chandon. Perfect for a birthday present or just for you to impress your guests! Can be used as an ice bucket or as a vase, a storage for your utensils, some soaps in your bathroom or towels or anything else! To view our full range visit our Ice Buckets Category. 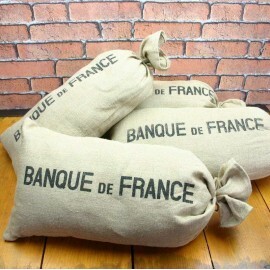 This is an Original "Banque de France" money bag in hessian/jute material. It is filled to made a great cushion for a perfect decoration item. It's coming form the bank of Vichy (France) and was really used as a money bag a long time ago… To view our full range visit our Vintage Home Decor Category. 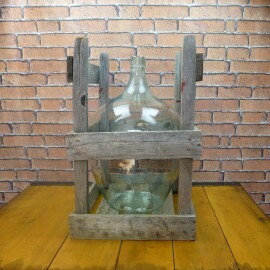 This is a beautiful authentic antique onion shape clear Demijohn, circa 1840-1890.The neck has a hand applied ring, circling the mouth and the lip is not smooth showing how it was broken off from the rod after being blown. Unique Piece. De toute beauté! To view our full range visit our Vintage Demijohns Category. 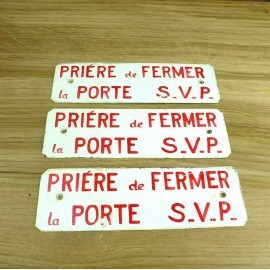 French Metal Sign from SNCF (rail company). This one is "Priere de Fermer la Porte SVP" "Thank you for clothing the door". The sale is for one of these. 3 available. 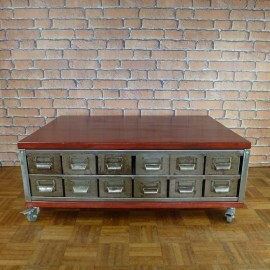 To view our full range visit our Industrial Furniture Category. 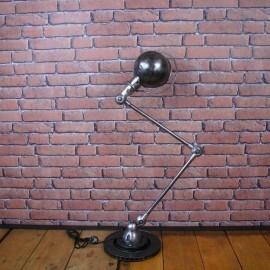 An online shop that offers a wide range of Vintage – Antiques and Industrial decoration items and furniture. 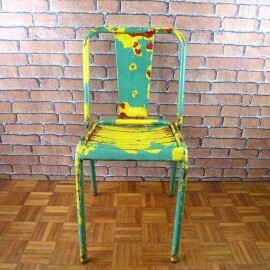 You will always find unique pieces in original condition or that have been refurbished to look just fantastic! 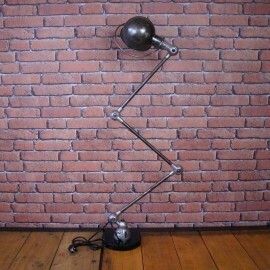 Our aim is to offer you quirky, interesting pieces that will brighten up your interior and give it a true character. We hope you will enjoy all these items, as much as we do! Get inspired by the most iconic brand of Industrial Chic Design. 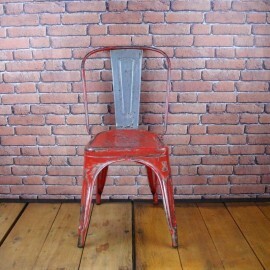 Tolix Chair: From Model A to Stool H, find the perfect industrial chair!